In this post, Todd Kalajzich from Boral Dunmore explains why a remote controlled loader has proven to be a practical and safer way of working. Cleaning up spillage in areas with limited access around fixed plant is a difficulty that most quarries endure. 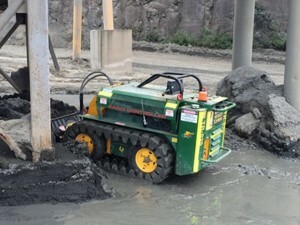 The job is generally completed manually or alternatively with a stand on mini digger type machine in order to reduce the risk of manual handling and injury. The machine has a number of attachments which we can be use for other applications around the site. The mini loader has excellent digging capabilities. This saves the business on manual workers but also a reduction in potential manual handling injuries. Removing operators from hazardous enviornments will reduce potential manual handling injuries or possibly saving someones life! 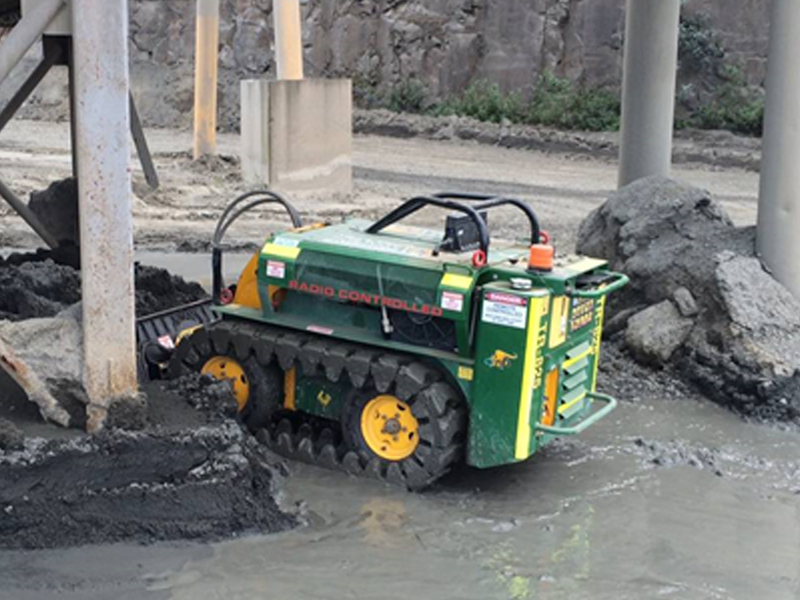 For more information on the Kanga remote controlled loader click here. 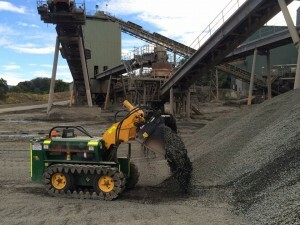 Alternatively view our other loaders suitable for construction and mining.